The second part will air tonight. 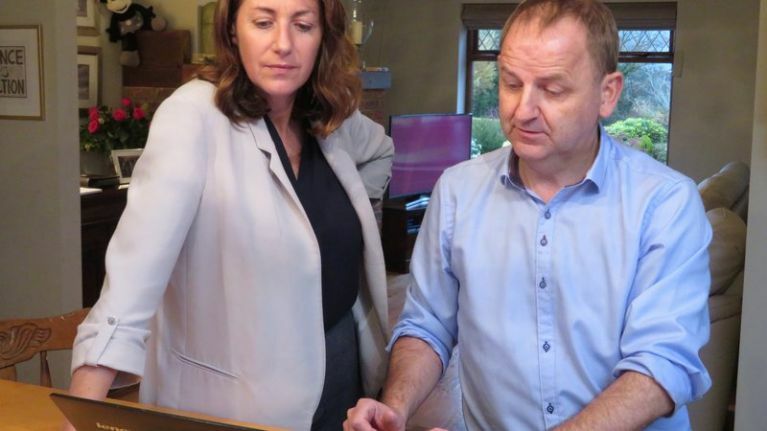 On Monday night, the first part of RTÉ's documentary Whistleblower: The Maurice McCabe Story aired, and it gathered a huge and immediate reaction. The documentary is the first time that Maurice and Lorraine McCabe have told their extraordinary story. Back in 2014, Sgt Maurice McCabe was requested to appear in front of the Public Accounts Committee (PAC) in order to give evidence about the large scale cancellation of penalty points accrued by senior gardai. Former Garda Commissioner Martin Callinan failed to block this appearance through the normal channels, so he instead decided to launch a "campaign of calumny", and what would later be described as "a frontal attack" on McCabe and his family. Callinan arranged to meet John McGuinness, the chairman of the PAC, in a car park on the outskirts of Dublin, and proceeded to tell him that he had made a mistake in allowing McCabe to get this far, stating that the the garda whistleblower could not be trusted. He also told McGuinness that he was a man who had sexually abused children, including members of his own family. This was only the beginning of a living nightmare and McCabe and his family will endure for years to come. Maurice McCabe saying, if he knew what was ahead of him, he wouldn't do it all again. For someone to have been so thoroughly vindicated, and still feel that way, shows the hell he went through. You think you know the story well but #Whistleblower is astonishing. It’s good to know there are decent, honest politicians like John McGuinness who are willing serve the state and its citizens in the face of outrageous intimidation.